The ASF Company is one of the largest suppliers of CNG compressors, refueling equipment and filling stations in Poland. We have over 50 realizations throughout the country. A wide range of products allows you to tailor the device to the needs of every, even the smallest customer. ASF provides professional stationary and outbound services. ATIKER BULGARIA experienced rapid development in trade autogas systems and so has become a global brand in autogas systems. We will continue to bring all forces trademark “Atiker” in the future with our employees, who believed in us, our customers and dealers. Buycylinder.com is the first online shop of all series of gas cylinders and tanks in the world, owned by Beijing Uec Corporation, a universal E-commerce company. Buycylinder.com is founded under the faith of "good value for money", catering to overseas gas factories, gas distributors, equipment wholesalers and end users. BEST is a company with 30 years of experience in providing innovative solutions for industry. The important pillar of BEST is activity in the LNG market. We’re licensed supplier of LNG delivering liquid methane to companies from all over Poland. We are leaders in projecting, producing and installing complete LNG stations including cold recovery. We also provide solutions in cryogenics and gas technologies successfully realizing projects of liquefied gases installations. We lead research in cooperation with top research centers in Poland. As technology company we’ve successfully developed our laser methane detection system which is an innovative addition to our portfolio. 1896, Gottlieb Suhner founded a cable factory that eventually became BRUGG. The Brugg group is active in 5 business sectors, with 24 production sites and more than 30 sales divisions in all important industrial countries. Approximately 2000 employees are responsible that the following products or segments are manufactured conforming to the best technical know how and quality standards: power- and telecommunication cables and accessories, special cables for industry and security, process control systems for water treatment and energy management, pipe systems for the efficient and safe transport and distribution of liquids, ropes for aerial ropeways, elevators and cranes rope protection systems against natural hazards. Certools is the reputable manufacturer of the filter units and accessories for the LPG systems, propane and CNG in the motor vehicles, forklifts and other gas systems demanding precise filtration. CGH Polska is the biggest manufacturer of steel pressure and non-pressure vessels in Poland. We are a member of the international CGH Group, an owner of three vessel factories. Chart Europe has a wide portfolio of state-of-the-art cryogenic solutions produced in multiple facilities. The company’s range of LNG products includes LNG and LPG trailers provided with unique Flow Instruments measurement systems, stationary and mobile LNG/LCNG vehicle fuelling stations, on-board fuel systems for vehicles, buses and ships. CHEMET S.A. is the largest Polish manufacturer of LPG tanks for autogas, heating and technological purposes. Together with EMGAZ Sp. z o.o. our company offers the complex execution of LPG filling stations equipped with above- or underground tanks and LPG modules on the frame (the SKID type). Clesse Industries, with its famous brands CLESSE and NOVACOMET, is a company formed by subsidiaries located in France, UK, Italy and Brazil. We design, manufacture and supply products for LP Gas (Butane-Propane), Natural Gas, Biogas and Synthetic Natural Gas installations to our customers in over 50 countries. The group’s product range is focused on gas regulators, ACO, meterboxes, valves, fittings, performance monitoring systems and safety accessories that are installed on networks, tanks, cylinders and pipes. At the forefront of innovation and development, the Clesse-Novacomet group is widely recognized as the reference for quality and reliability to the professionals in the gas industry. Portal of users of CNG and LNG vehicles as well as a group of experts in the field of using natural gas - CNG and LNG - as fuel for fueling vehicles. The main idea of our activity is the promotion of ecological and safe fuel CNG, LNG in Poland. We have been on the CNG market since 2007, we concentrate on promoting the use of natural gas in Polish transport, implementing new technical solutions and monitoring the natural gas market. We participate in the most important events related to CNG and LNG in Europe, we provide consulting and training in the use of CNG for vehicles. "Time For Gas!” - international LPG, CNG and LNG magazine. We provide and offer pressure washers and ultrasound car washes, constant service and ongoing repair of our carwash consultancy in the field of ecological technologies of degreasing and washing parts, cleaning and washing services for machines, tanks, specialist vehicles, etc., services in the field of degreasing repair stands, ducts, skylights , industrial halls, etc., a wide range of cleaning agents and liquids for professional use in all branches of industry, advice on the use of industrial chemistry. ELPIGAZ is a leading manufacturer and supplier of modern solutions in the field of gas fuel system (LPG, CNG) for internal combustion engines, light-weight LPG tanks and high-pressure air tanks. Our products have the required homologations confirming conformity to the ECE 67R01 (for LPG) and ECE 110R (for CNG) regulations, GOST (Russia) and UkrCEPRO (Ukraine) certificates. EMGAZ Sp. z o.o. – the leading Polish manufacturer of LPG dispensers DRAGON with preset option, together with CHEMET SA offers the complex execution of LPG filling stations. EuropeGAS company specializes in engineering and manufacturing electronics and mechanics for LPG/CNG automotive installations. The company’s flagship products are family of controllers: EG BASICO, EG AVANCE, EG SUPERIOR and LPG reducers EG PREMO and EG SUPREMO. Activity of Europump Poland starts in 2001. The company’s main activity is completation, delivery and service of the equipment for distribution of propane-butane gas, natural gas and liquid fuels. FAGUMIT is Europe’s leading manufacturer of hoses used in automotive gas installations. Years of experience in production and continuous work on improving the quality were the basis for the creation of internationally recognized gas hoses. FAS Poland is authorized distributor of FAS GmbH the largest producer and supplier of LPG equipment In Europe. We supply the whole product line for from: FAS, RegO, Rochester, Blackmer, Liquid Controls, CORKEN, Ninnelt in accordance with Pressure Directives. Faro S.r.l. is a company in costant evolution that has consolidated its experience in the national and international markets and is able to offer a wide range of approved gas hoses and pipe products (both for LPG and CNG) for automotive applications. CNG Transportation Solution. Multiple Element Gas Container (MEGC) for CNG, BIOGAS and HYDROGEN. The benefits of this MEGC are lightness, extreme high flow, safety and the amount of charge and discharge that no competitor can offer. The UAC container lasts 3 times longer than the average steel container and needs up to 10 times less testing by ADR regulation. GLOBAL GAS SP. Z O.O. is an international project aimed at popularising and developing autogas systems – ecological, alternative in relation to the standard methods for fuelling vehicles. GOK Regler & Armaturen GmbH & Co. KG is a company which follows in its activities a rule of delivering products of the highest quality. Our quality is proved by certificates DIN EN ISO 9001 and DIN EN ISO 1400 held by GOK. Production is performed only in the territory of Germany. GOMET was established in 1986. We produce brass elements for vehicle gas installations, pneumatics, hydraulics, springs and many other details according to a design or a drawing. 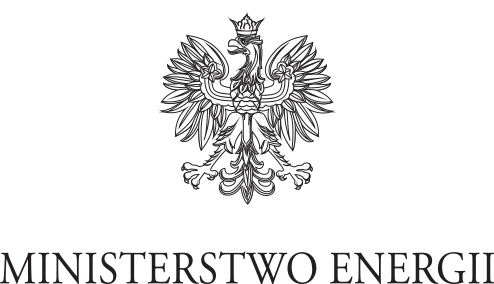 We operate dynamically both on the Polish and foreign markets. 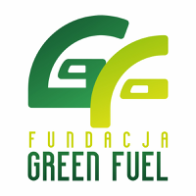 The Green Fuel Foundation is a Polish NGV non-governmental organization that supports the development of ecological methane fuels - CNG / LNG in Polish transport and actively promotes the use of natural gas in the transport industry. The Green Fuel Foundation cooperates with leading NGV organizations around the world, supports the construction of CNG, LNG, LCNG stations and NGV fleet development in Poland. Hexagon Ragasco is the world’s leading producer of composite LPG cylinders with over 10 million units in use worldwide. HL Propan s.r.o. is a leading company on the LPG market in Czech Republic. We are manufacturer of the LPG components Magic – components available according newest European homologation 67R.01. Our main activity is everything about converting cars on LPG. We also offer machining on modern CNC tooling. We are manufacturer and exporter of Plastic Seal, Caps, Mineral Water botle caps for 19 Ltr/5 gallon, Indicators for Motorcycles, Back lights for CNG Rkshaw and many more products. Administrator of the cng.auto.pl portal, deals with business support for the Polish NGV sector and the Polish market of alternative fuels, CNG and LNG. Our marketing services agency has experience in the field of alternative methane fuels and provides contacts with Polish, international organizations and entrepreneurs with the profile of NGV. IZI company produces spare tires and gas bottles covers. The covers made by IZI are irreplaceable in cars, especially in those that have gas installations (with a gas tank) mounted in a spare tyre place. Our company is mainly engaged in the independent research and development and production of gas equipment. The main products are GDl and naturally aspirated ECU, which is the only manufacturer of GDl electronic control in China. Our company has a strong technical strength, the main export products around the world. Kanaiya Brass Products company was established in 1992 , having experience in the international and national markets and leading manufacturers of wide range of Fittings for automotive applications , LPG valve & regulator components in Brass ,Steel & plastics.Also other brass, steel and plastic products according to the customer's specifications. We are ISO 9001:2008 Certified . Kosan Crisplant is a project-oriented corporation that supplies equipment, plants and systems for filling and maintenance of LPG cylinders and offers after-sales and engineering services, facility management, and supply of components for the gas industry. Recently the company has also entered the market for small-scale LNG projects. For 60 years Lovato Gas has been a designer and producer of systems and components for the conversion of gas-powered vehicles, both LPG and CNG, in accordance with the latest regulations on polluting emissions. Reliability and easy installation constitute the hallmarks of the wide range of Lovato Gas products. Genuine Italian innovation and high performance have allowed Lovato Gas to become an important and strong brand in the field, both in the after market, with a sales network in more than 50 countries, and the OEM market. Magneti Marelli Aftermarket is one of the leaders of independent aftermarket parts market, supplier of car workshop appliances and equipment and founder of the Magneti Marelli Checkstar Service Network. The company operates on all continents, its headquarters is located in Italy and subsidiaries operate in Spain, France, Germany, Poland, Argentine, Brazil and the United States. The Polish subsidiary of Magneti Marelli Aftermarket is responsible for the local market as well as for export markets in the Czech Republic, Slovakia, Slovenia, Hungary, Croatia, Montenegro, Romania, Bulgaria, Bosnia and Herzegovina, Serbia, Kosovo, Moldova, Macedonia, Albania, Ukraine, Belarus, Lithuania, Latvia, Estonia, Russia, Georgia, Kazakhstan, Armenia, and Uzbekistan. Magneti Marelli Aftermarket offers over 30 000 items, including spare parts, tuning parts and workshop equipment. We are a supplier and producer of LPG components based in Germany, specializing in LPG thermoplastic hoses, rubber hoses and fitting systems. We deal with professional assembly of gas drives for cars and vans. The company Memtex Ltd is founded in 1991 as a producer of diaphragms for autogas systems. During the years it has established its position as a leading producer of repair kits for LPG and CNG reducers, covering more than 100 models of vaporizers. Nazorati is a manufacturer and exporter of autogas conversion equipment in Turkey. Having more than 15 years of experience, we are focused on designing and producing high quality items. We offer a wide range of individual components as well as complete kits for cars with carburetor, indirect or direct injection engines. We are mainly specialized in the production of mechanical components, like reducers, multivalves, solenoid valves, and so on. We cooperate with two world-famous Italian companies, AEB and Autronic, for the supply of the electronic control units of indirect / direct injection systems. Our products are presented to the customers after various tests and quality inspections in accordance with the European Regulation of ECE-R 67.01. The Next-LPG pipe is made of high-density polyethylene (HDPE) and is designed for the high pressures used in LPG distribution. With an operating pressure of 25 bars ‘next-LPG’ pipe meets the high standards of safety in the LPG industry. The unique in the industry lining prevents of permeation by hydrocarbons while it conductive property ensures that static electricity dissipates safely. F.H.U. PALACAR Michał Pala is a leading manufacturer and distributor of components for automotive LPG systems. Since 1997 the company successfully is developing successfully in all fields of business activity. In the year 2009 Perfect Group expanded their horizon by adopting the modern technology. In the mid of 2008-09 AK Industries was launched for middle east market specialized in pipe clamp fittings. Continuing the growth path in the year 2012 Perfect Group entered to serving bigger brands with the name of Perfect Metacraft. Presta Cylinders is the European leader in requalification and refurbishing of steel, composite and refrigerant gas cylinders. We also provide new cylinders and valves and propose innovative and adapted solutions for big and small gas cylinders distributors in many European countries. 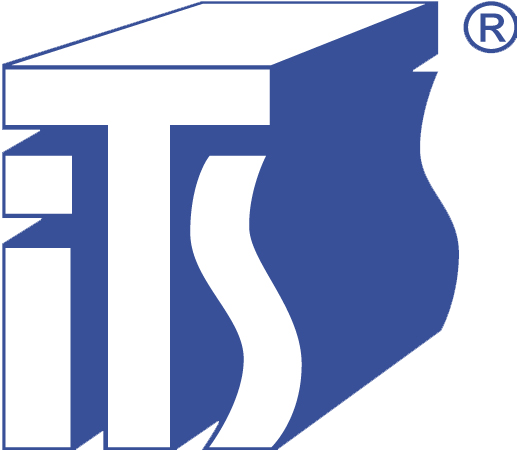 RCS is a telematic engineering company established in 1994. The company develops and manufactures advanced fuel monitoring systems for stationary and mobile assets. The factory and R&D department is located in Kiev, Ukraine. RCS is a client-oriented company, and committed to adding value to international partners and their end clients. SIGMA ultrasonic LPG level sensor manufactured by RCS, is a unique device that shows every 1 litter of LPG in the balloon. Sensor delivers additional benefits and convenience to customers. Unique features and reliability of the hardware produced by RCS is a choice for partners in more than 60 countries. In 2017, Remontowa LNG Systems Sp. z o.o. implemented a research and development and pilot project (both projects co-financed from European Union funds). The projects are aimed at optimizing LNG powered drives and increasing the availability of this fuel. We always focus on the quality of our products and on the research and development needed to improve them. Nowadays the Romano brand occupies a leading position in the international LPG/CNG market, with ROMANO’s three hottest systems being: ANTONIO, E, ANTONIO 8. Rotarex leverages 90 years of gas expertise, global scale and infrastructure to provide exceptionally high-performing valves, regulators and filling accessories for LPG automotive, bulk tank and portable tank applications. rom 1995, actual starting year of autogas industry in Republic of Turkiye which the biggest LPG autogas market in the world keeping 21% of the whole world share and currently having 3.5 million vehicles converted to LPG till the end of 2012 whereas continues investing for the future energy needs, you’ll find exactly the kind of production support you’ve been looking for, and we’re ready when you are. Our company, founded in 1978 is a well-established organization making production with high quality standards. We are carrying our international brand to the future with our continuous development and respect to human and environment. Having a strong and clean business history, our company aims to strengthen its production by combining own experience with investments for innovations and R&D. Our company is serving to its customers with a large marketing/logistics network whole around the world and awaiting for the new customers/partners to expand its service area with high quality production in its new plant with 5000 sqm closed, 7000 sqm total area in Konya, Turkey. Scalmax is a manufacturer with 15 years of experience in the design, implementation of electronic and mechanical components of autogas installations, as well as innovative versions of software for LPG / CNG / LNG ECU. SCALMAX has patented Diesel Dual Fuel LPG / CNG / LNG solutions, designed with original algorithms, a wide range of signal emulation and cooperation with full INFOSAT3 vehicle monitoring. The company deals in the production of diagnostic equipment for workshops in the autogas industry. The flagship product is a stand for cleaning, control and calibration of gas injectors. Concentrating 16 years sector experience into LPG-CNG Autogas Systems Filter manufacturing and Export since 2004, Sukruoglu Filter serves you the guarantee of its proven quality by ECE-R with E7 67R01 LPG and E7 110R CNG documents and it continues to be ”Your Partner For Filter” exporting 14 countries. We are at Super Impex Group always keen to serve quality products & service to our all valuable customers. For that we regularly updates ourselves in the area of quality control, production Techniques & latest technologies. The company suzzi was founded in 1975 and specialises in the production of personalised electric windings. With over 120,000,000 electric windings produced, SUZZI distinguishes itself from its main competitors with its high reliability, its organisational flexibility and its ability to personalise its customer response. The experience gained in the automotive sector has also enabled us to develop extensive expertise in process structuring, control objectivation and traceability, which lead to the guaranteed results and product reliability typically required by customers. In order to optimise the manufacturing of customers’ products, the Suzzi management also organises and manages an integrated and consolidated supply chain, which it partly owns, that makes us of over 70 employees and 9,000 msq. Suzzi operates according to the requirements of the norm UNI EN ISO 9001:2015. Tegas develops and manufactures electronics for automotive gas equipment. The company was founded in 2013 by skilled developers and managers with many years of experience in the development of autogas electronics and market penetration. Gas Sales Automation is our speciality. We are the first to place a larger number of the two-way vending machine for sale or exchange of propane bottles worldwide. Gas Automat, the main product of VendingRobotics, is a self-service machine, where you can effectively sell and rent a gas cylinder: 24 hours a day, all year round. Our purpose is the analysis of the entire sales process and the possibilities of its automation, which provides the company real competitive power and significant advantage on the gas market. VendingRobotics don’t sell just vending machines, we sell solutions. We produce and offer for sale CNG cylinders with water capacity from 22 dm3 to 240 dm3 for diameters 204 up 406mm. Working pressure from 20 MPa (200 bar) up to 30 MPa (300 bar). Cylinders are made from billets according to standard: ISO 11439; ECE R 110; NGV2 for car applications; ISO 9809:1 and ISO 9809:2 for storages systems and trailers applications. Propane-butane gas cylinders: tourist with the capacity from 0,5 kg to 5kg; BBQ cylinders: capacity 8 kg; household with the capacity 10 kg÷ 13 kg; industrial with the capacity 17 kg, 18kg, 19kg, 30 kg, 33 kg, 47 kg. Welded cylinders for refrigerated gas („R” type) for test pressure up to 4,8 MPa (48 bar). Welded constructions: transport containers for transportation of LPG cylinders; cylinder bundle for technical gas. Our company deals in the sale of car parts and diagnostic equipment for workshops since 1999. Every year we gain more and more experience, we acquire new business partners and expand our offer to be able to meet your needs. With our help, all interested clients have the opportunity to take advantage of training and a practical course in the use of devices offered by the largest manufacturers of diagnostic equipment. Since 11 years, we are a company engaged in the production of LPG level sensors. Our products are exported to many countries. Manufacturer of dry gas filters and aluminium accessories for LPG & CNG.